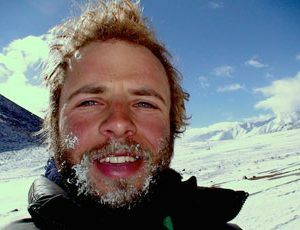 Keynote speaker Rob Lilwall is a British explorer based in Hong Kong who has completed numerous impressive expeditions all over the world. On one expedition, he walked 5,000 km. Many of his experiences and expeditions were captured as documentaries and provided him with experiences and stories that make his keynote presentations tremendously powerful and motivational. Rob Lilwall is a British-born, Hong Kong-based TV adventurer, writer and motivational speaker. He has travelled tens of thousands of kilometres across the world on foot, by bicycle and by boat, from the Gobi Desert in winter, to the jungles of Papua New Guinea in rainy reason, to the high passes of Afghanistan in summer. He is the author of two books, and National Geographic have made two television series about his adventures. His speaking has inspired tens of thousands of people around the world to face life and work with the “Attitudes of Adventure”. When addressing business audiences, he relates the ever‑growing challenges of the 21st century workplace to his own, at times hilarious, at times deadly serious, trials and tribulations in the wild lands of the earth. Recognizing that change is the only constant in life, and hence the need to muster our creativity and find ways through, round and over unexpected obstacles and setbacks. Moving boldly towards decision and action even when the negative voice in one’s head or the pessimist in the office insists that it is too hard, or too risky. Taking proper care to sustain good judgment and avoid spiralling morale and burnout. The importance of breaking our goals into the short, medium and long term, using the SMART principles, and acting in an intentional way to make progress towards them. Remembering that our self discipline must start with the small tasks, which make a significant difference in overall progress, especially by circumventing future problems. Rob is highly experienced in tailoring his messages to specific desired outcomes of clients, and also gives the option of fun and relevant team breakout activities as part of the session. His “Attitudes of Adventure”, drawn from his first-­hand epic adventures, are ideal for corporate management training and keynotes at large-­scale conferences.